For years my Mom and I have been racking our brains about what to get my Dad on holidays, birthdays and other gift giving occasions. Boys are so hard to shop for, we say to one another. A book, a shirt, a cd? 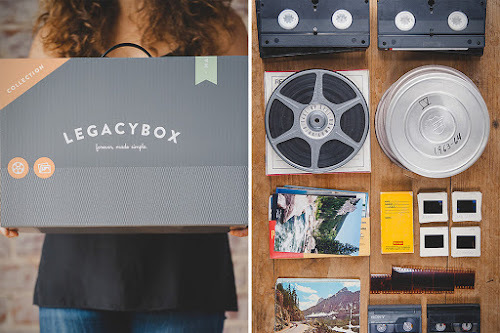 Once you have covered the standards I find it hard to come up with something original, particularly at a time in my family's life when everyone is conscious of trying to live a more clutter-free life.So I was intrigued to stumble across LegacyBox recently. 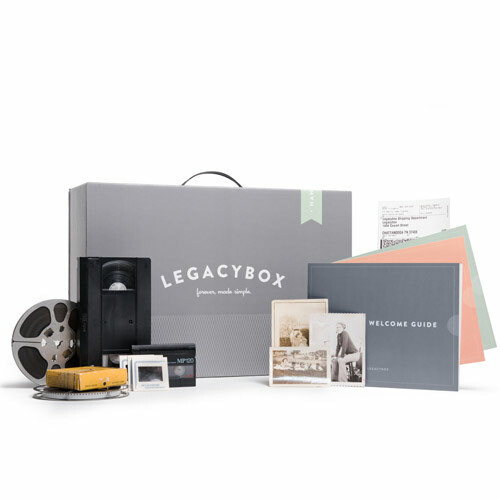 It's a full-service scanning business that takes all your family media—everything from 18mm films to slides—and digitally scans them, sending them back to you as DVDs. The prices look fairly reasonable (anywhere from $75 to $500, depending on the number of items scanned) and will definitely provide the closest thing out there to a trip back in time. I am putting this on the gift idea, for sure!Learn more about LegacyBox here.